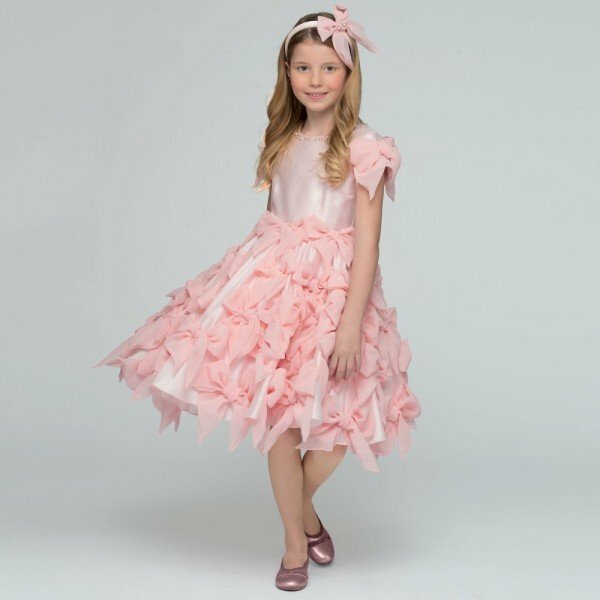 Your baby girl will look like a little princess wearing this LESY Baby Girls Pink Floral Special Occasion Dress. 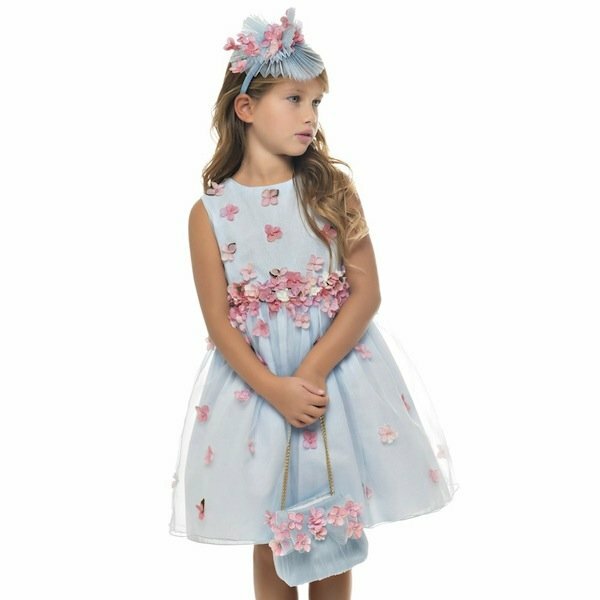 Featuring a mirrored floral overlay, this beautiful dress by Lesy has a stunning, almost ethereal quality that's perfect for making a statement at parties. Designed for babies, the chest is lined for comfort, and it fastens with a zip at the back for fuss-free dressing. Also comes in a larger size for her big sister. How sweet is her little prince friend wearing a baby bowtie outfit? 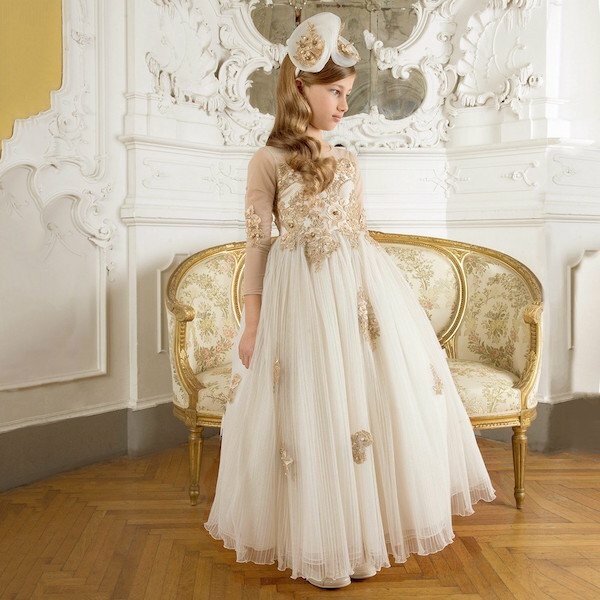 Designed in Italy by the famous Lesy Fashion House in Firenze.